The exciting transition from London’s cold winter grip to the gradual re-emergence of the prized summer sun is unfortunately still a time when the nip in the air is harsh, and our longing for warmth is even harsher. The sensation of the sun’s rays is just barely enough to keep us going until the long-awaited season truly arrives. Until then we can rely on a particular wardrobe accessory that combats this in-between weather torment – the lightweight scarf. Whilst protecting from London’s infamously blustery weather, the lightweight scarf is seasonal, trendy, and oh-so-chic! This year, the Armani Spring Collection presents the Crinkle Tartan Scarf. This fashionable item is made from linen, so it is warm, stylish as well as seasonally appropriate. Boasting neutral colors, it is the perfect spring companion. Even if the weather may be unreliable, styling this scarf won’t be. If you are looking for a more sophisticated scarf to complement your wardrobe, the luxury long neck scarf in MARK / GIUSTI Deep Blue Sea collection is the perfect Spring accessory this year. 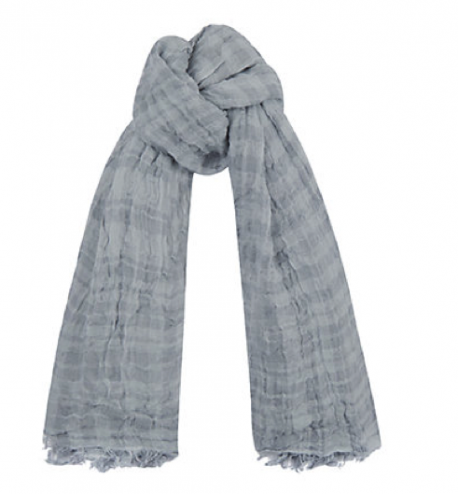 The Marrakech scarf is 100% linen. 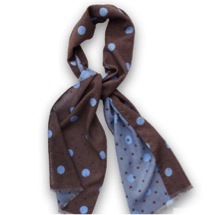 This versatile scarf can be worn with both casual and formal attire, as it guarantees to add spice to every outfit. 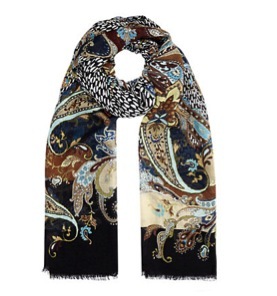 Another lightweight scarf that takes an equally as colorful approach is Etro’s antique paisley print scarf. However, if you’re not one who enjoys standing out, then perhaps combining this much color and pattern is not for you! For those who love being the centre of attention, get lost in the swirling designs of blended cashmere and silk as this scarf is sure to get you through the chillier days, until summer decides to cordially greet us. 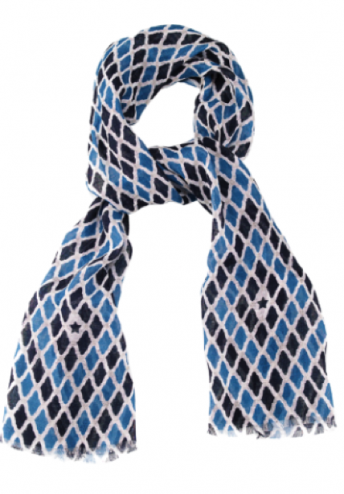 Last but certainly not least, is Thomas Pink’s Devonport Spot Scarf. Enjoy two patterns in one in this sophisticated and reversible accessory. It’s style is versatile and fresh, however as it is made with 100% wool flannel, this scarf is perfect for those chilly summer evenings but perhaps not ideal for the warmer days of Summer. Wrap yourself in one of these four luxury lightweight scarves and you’ll be sure to stay warm throughout London’s blustering wind and rain! In any one of these you won’t need the summer rays to keep the chill out and you can stay looking as stylish as always.